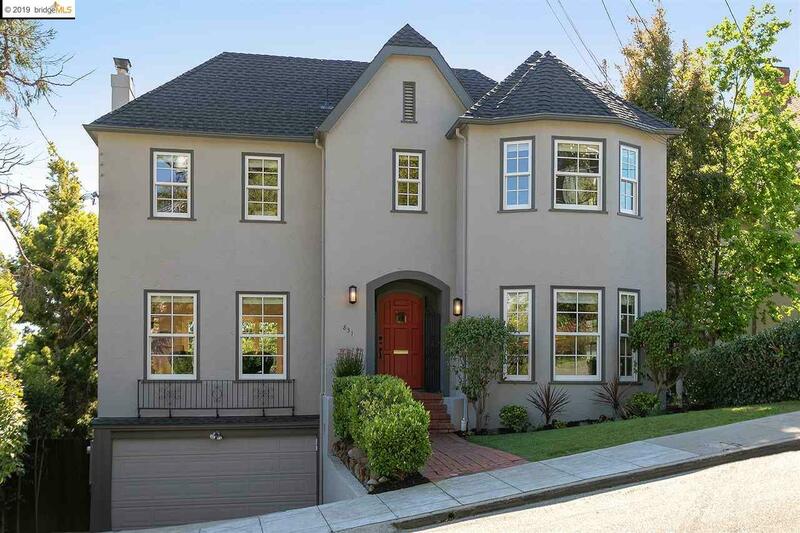 Just a few blocks to Crocker Elementary School, Grand Lake shops, restaurants and Saturday Farmer's Market is this stately 4 bedroom Tudor set on an outdoor wonderland for fun in the sun. Renovated to artfully mix 20's architectural details with high-end contemporary finishes, 831 Portal offers the rare blend of comfort and elegance for modern living and memorable entertaining. The light-filled living room, centered by dramatic quartz wall with modern fireplace, has French doors out to a terrace for outdoor dining. Conversation is easy with your guests in the formal dining room while you prepare dinner in the adjoining chef's kitchen with stainless appliances, Whitehaus sink and separate breakfast room. Upstairs are 3 bedrooms and 2 updated baths and a spacious master suite. The lower level features the 4th bedroom, 3rd bath, laundry and attached garage w/ interior access. Multiple outdoor areas for play and entertaining incl. a level lawn, sports court, play structure & dining deck.